Freedom Party of Ontario president Robert Metz calls into the “London Today” program hosted by Andy Oudman weekday mornings on 1290 AM CJBK. A by-election is soon to be called for five Ontario ridings, to replace 5 outgoing Liberal MPPs (some of whom have arguably retired due to involvement in a scandal in which the Liberal government spent hundreds of millions of dollars to move two gas plants in an effort to save 5 Liberal seats during the 2011 general election). The news has been leaked to Oudman’s show – by an upset London West Liberal – that the Kathleen Wynne Liberals are going to appoint Ken Coran – former head of the Ontario Secondary School Teachers Federation who is retiring on June 30th, 2013 – even though he and his union led the anti-Liberal government protest held at the February 2013 Liberal leadership contest, and even though he – only a week or so earlier – had been endorsing the London West NDP candidate, Peggy Sattler. All three parties – the Liberals, NDP, and PCs – are promising to continue deficit spending until as late as 2017 or 2018. 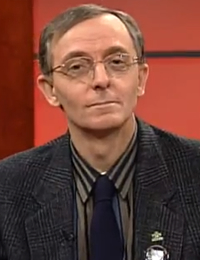 Robert Metz calls to let the public know that Al Gretzky (Wayne Gretzky’s uncle) will be Freedom Party’s candidate in London West, and that he’s the candidate to elect if people want to balance the budget in Ontario. 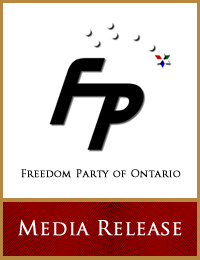 “Freedom Party of Ontario is pleased to announce that Al Gretzky has been nominated its candidate for the coming provincial by-election in the riding of London West. Al Gretzky is a familiar name in London West. The uncle of Wayne Gretzky, he has been a resident of Byron for decades. Most recently an employee of Eaton’s and Sears, he is active in the community, having given his time in support of such causes as the Thames Valley Children’s Centre, the Canada Games, the Palace Theatre, and the International Free Press Society. 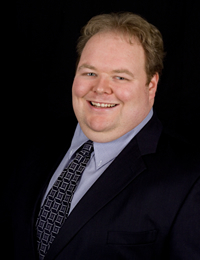 A trusted and respected figure in the riding, 21,690 ballots (35.7% of the ballots cast) were cast in his favour when he ran as the federal Conservative Party candidate in the election of 2006 (he finished just 1,329 ballots behind then-popular Liberal incumbent Sue Barnes)…” Click here to read the full media release. Freedom Party of Ontario officer Tim Hodges calls into the “London Today” program hosted by Andy Oudman weekday mornings on 1290 AM CJBK (though, in this recording Al Purvin guest-hosts). The public is upset with the political parties holding seats at Queen’s Park, and Purvin wants them to call in and vent. This recording begins with a call from Freedom Party of Ontario officer and long-time volunteer Tim Hodges, who explains that it is time to replace one or more of the parties at Queen’s Park, and that Freedom Party is working toward doing that.